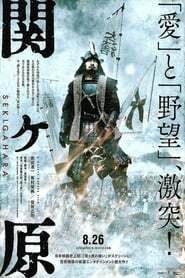 Sekigahara A depiction of Japan's 17th Century Battle of Sekigahara where the Army of the East takes up arms against the Army of the West. Hirugao When a Japanese housewife has an affair while her husband is hard at work providing for the family the phrase goes 'heijitsu hirugao tsuma.' When a Japanese woman sleeps with a married teacher she is shunned and shamed and has to change her name and residence. yet, that is not their end. There is more to come.